\bin - Contains the common dll files. 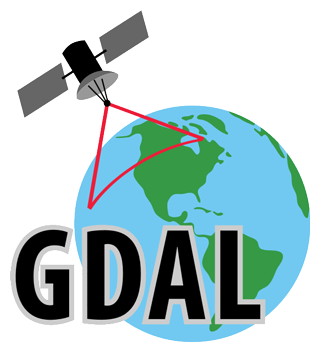 \bin\gdal - Contains the GDAL related directories. \bin\gdal\apps - GDAL utilities and OGR utilities. \bin\gdal\csharp - Compiled binary files of the GDAL/OGR CSharp bindings. \bin\gdal\java - Compiled binary files of the GDAL/OGR Java bindings. \bin\gdal\python - Compiled binary files of the GDAL/OGR Python bindings. \bin\gdal\plugins - GDAL plugin dll-s.
\bin\ms - Binary files of the MapServer related directories. \bin\ms\csharp - Compiled binary files of the MapScript CSharp bindings. \bin\ms\java - Compiled binary files of the MapScript Java bindings. \bin\ms\python - Compiled binary files of the MapScript Python bindings. \bin\ms\plugins - MapServer plugin dll-s.
\bin\proj\apps - Contains the Proj.4 related utilities. \doc - Contains package and version information files. changelog.txt - Text file about the package changes. Some of the GDAL/OGR drivers/data sources have been compiled as plugin dlls located in the \bin\gdal\plugins subdirectory. When executing the GDAL/OGR related applications the plugins should be available to load by the driver manager. For this reason the corresponding dll-s should be copied into a \gdalplugins subdirectory from where the application executable is running. As an alternative solution the GDAL_DRIVER_PATH could also be set to point to the location of the plugin dll-s. Note: When using the Oracle and SDE plugins be sure that the client libraries have been installed in the environment previously. DATA "geom from rivers WITH(INDEX(geom_sidx)) USING UNIQUE ID USING SRID=0"
Note: When using the Oracle and SDE plugins (Win32 packages only) be sure that the client libraries have been installed in the environment previously.